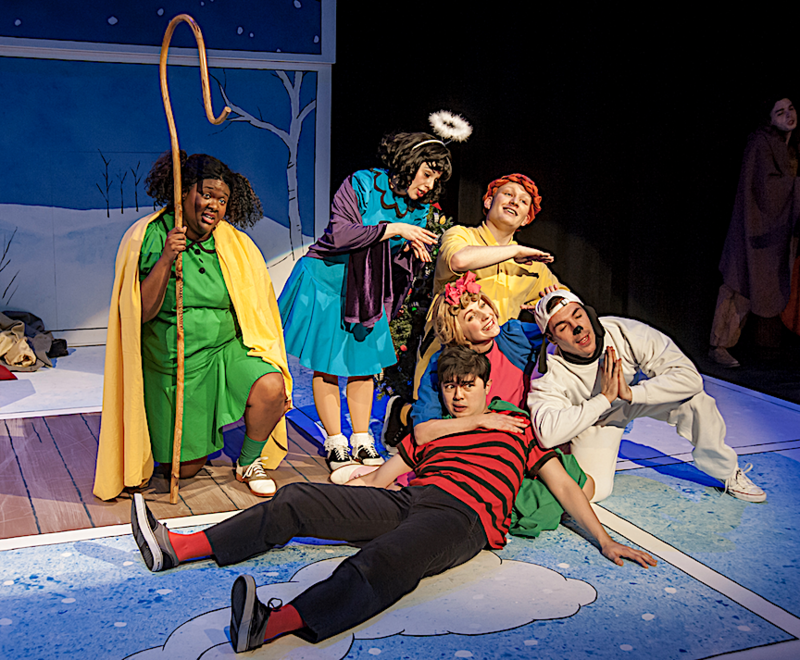 A Charlie Brown Christmas is being presented by Taproot Theater. Photo courtesy of Taproot Theater. The all-ages holiday tradition is back! Charlie Brown is depressed by the never-ending commercialism surrounding the holidays. Thankfully, Linus is there to help him find the true meaning of Christmas in this musical adaptation of the cartoon classic. Rick Hornor directs Coulson Bingham, Maya Burton, Sarah Diener, Julee Felts, Arika Matoba, Steven Tran, Brad Walker and Ben Wippel. All performances are open to all ages! *An opening night reception will follow the performance on November 30. Parking information can be found at http://taproottheatre.org/directions. **Seating in the Isaac Studio Theatre is General Admission.